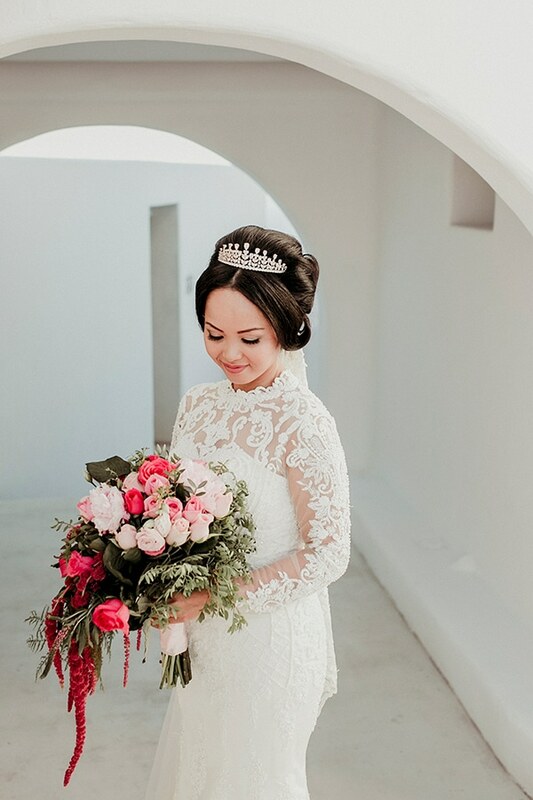 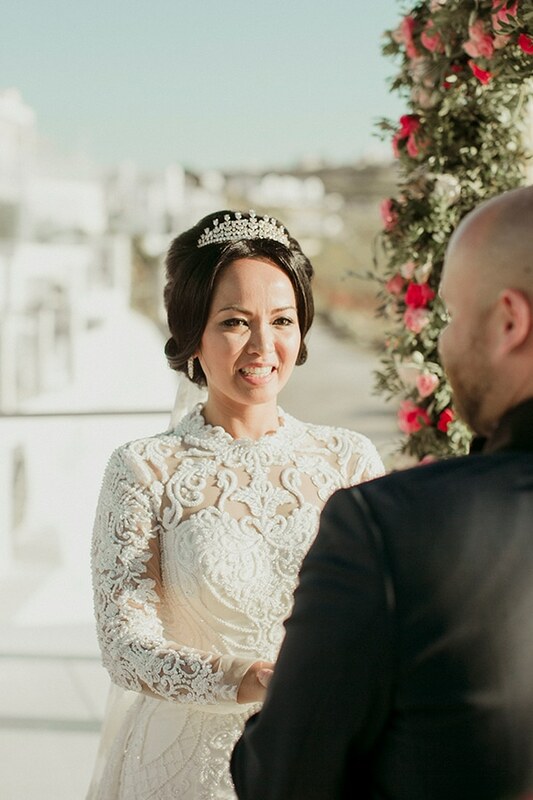 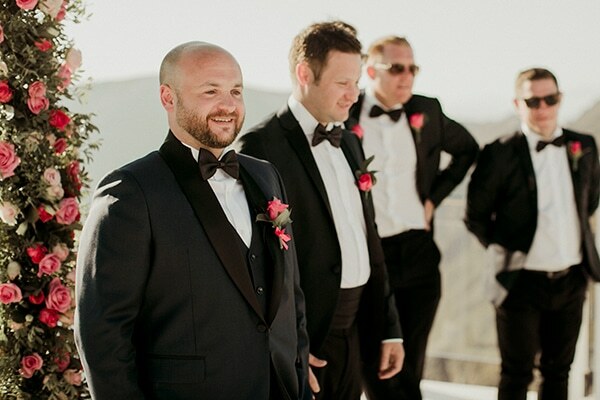 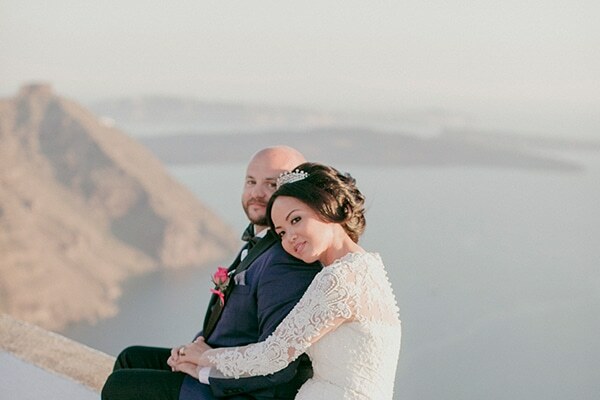 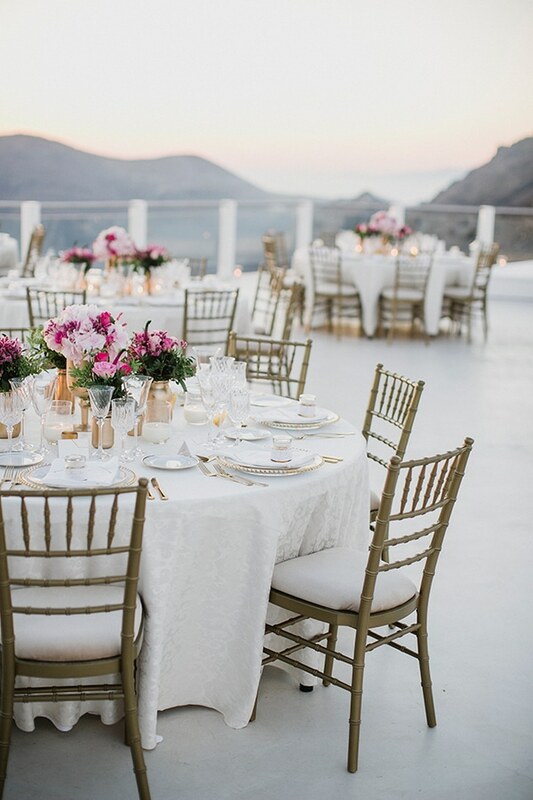 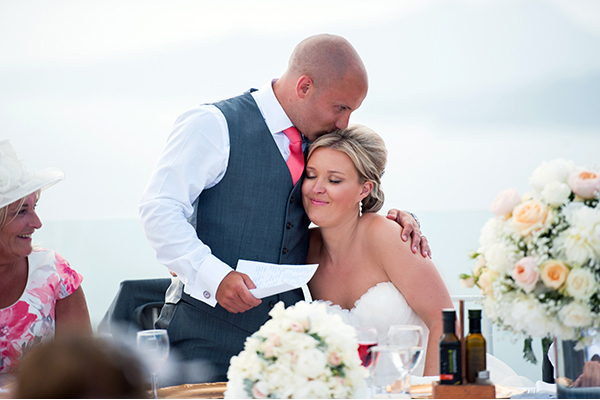 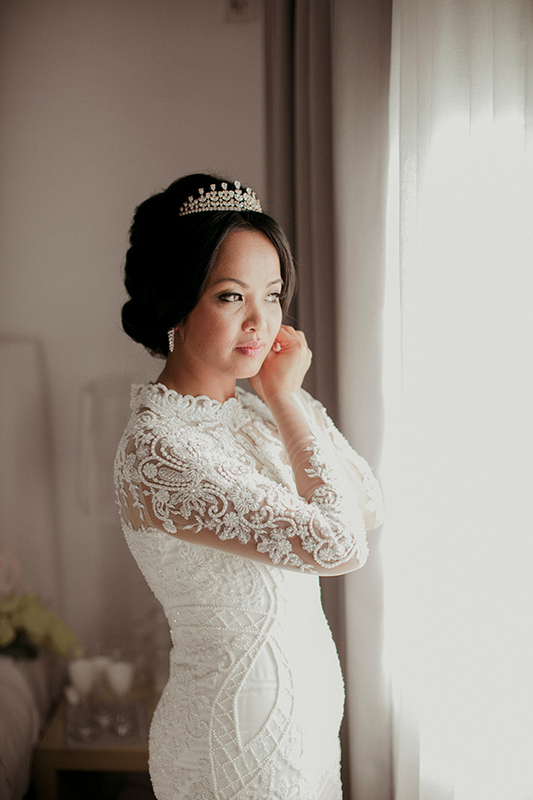 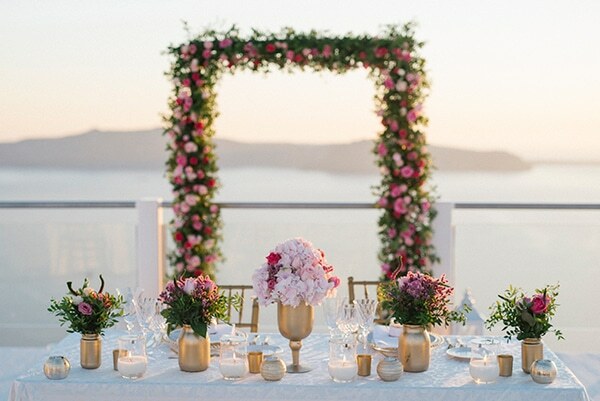 Today we’re sharing with you a fairytale elegant wedding in Santorini! 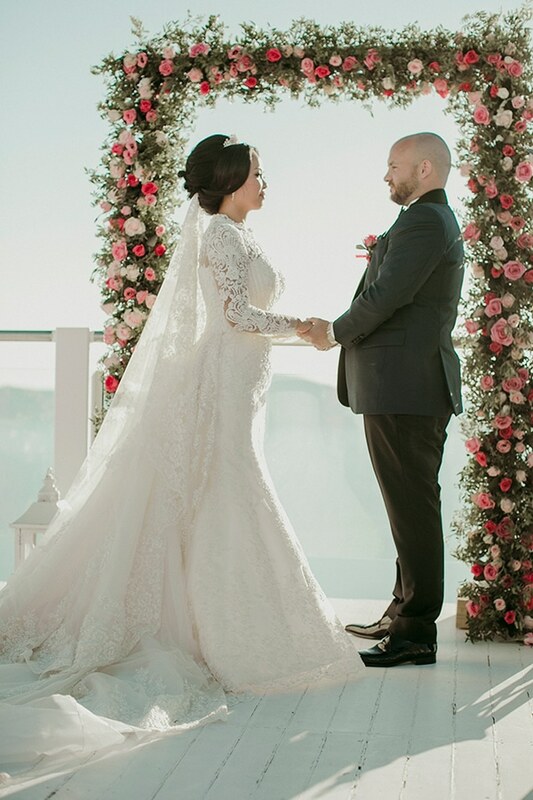 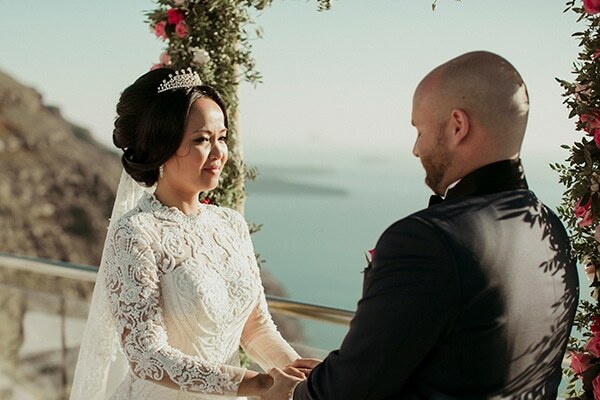 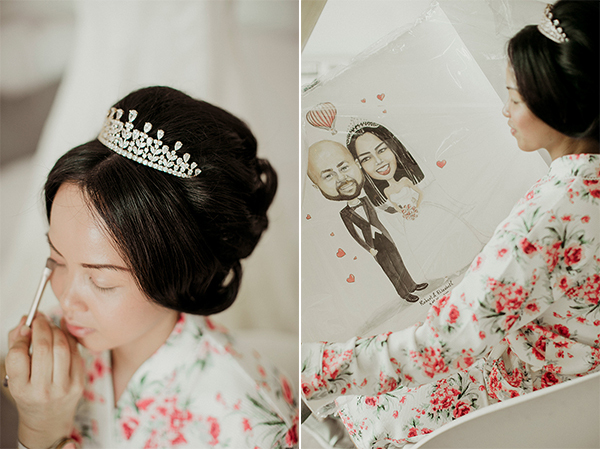 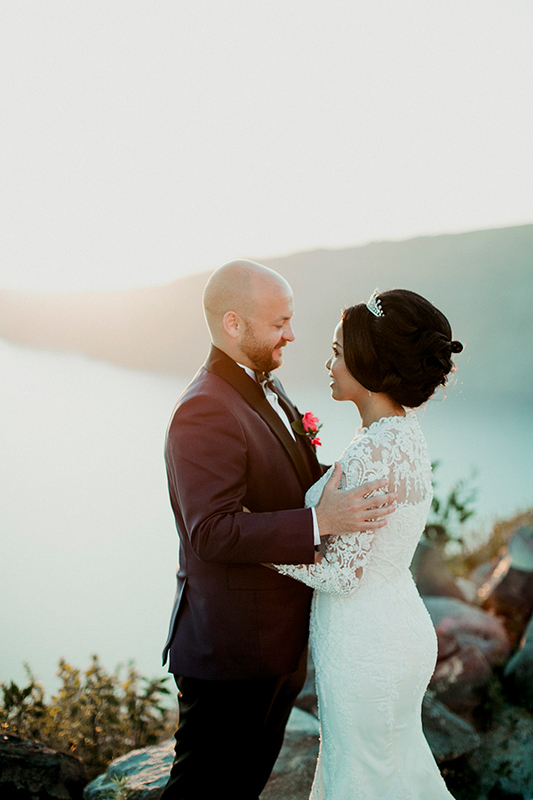 Liz and Rob decided to tie the knot in this gorgeous island because of its natural beauty and the romantic atmosphere… They wanted something that it looks like a heaven on earth, so it was ideal for a special day like this one. 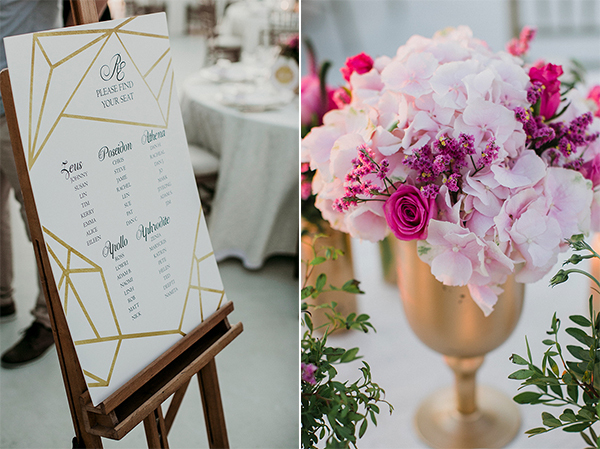 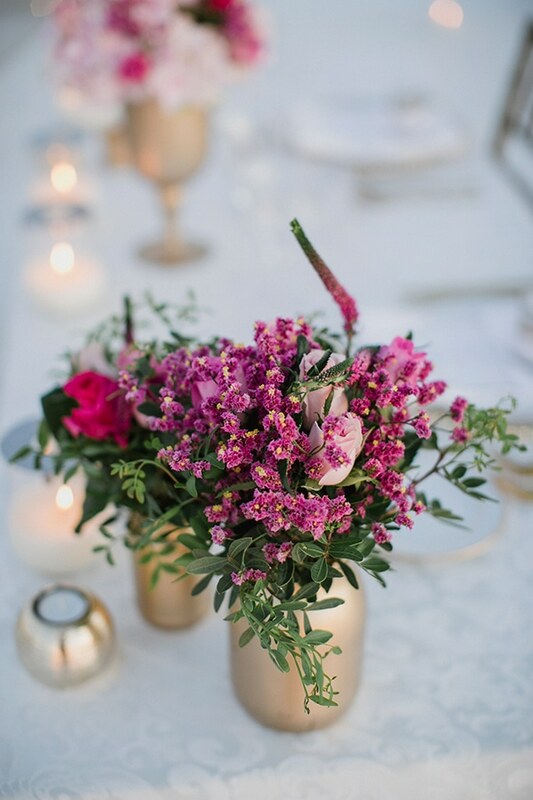 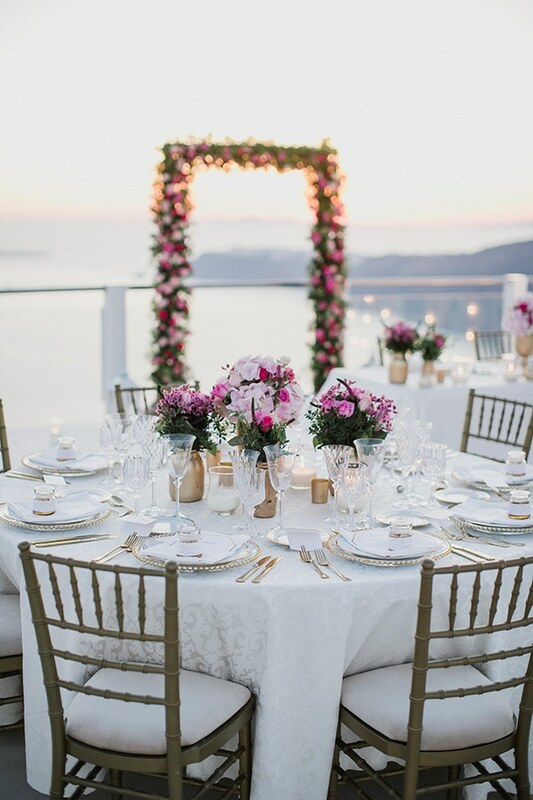 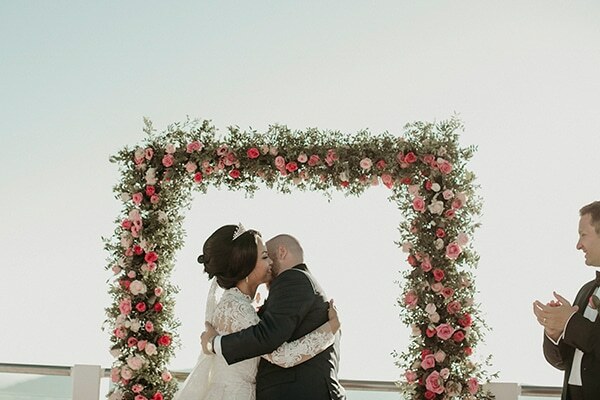 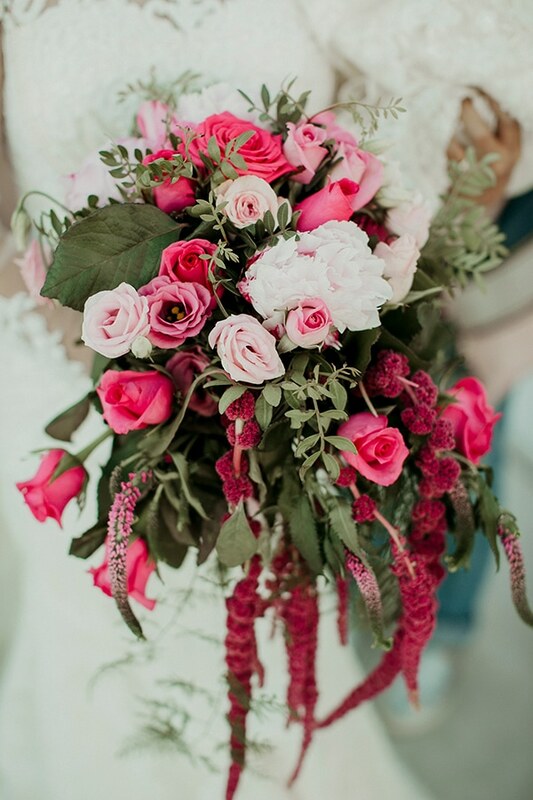 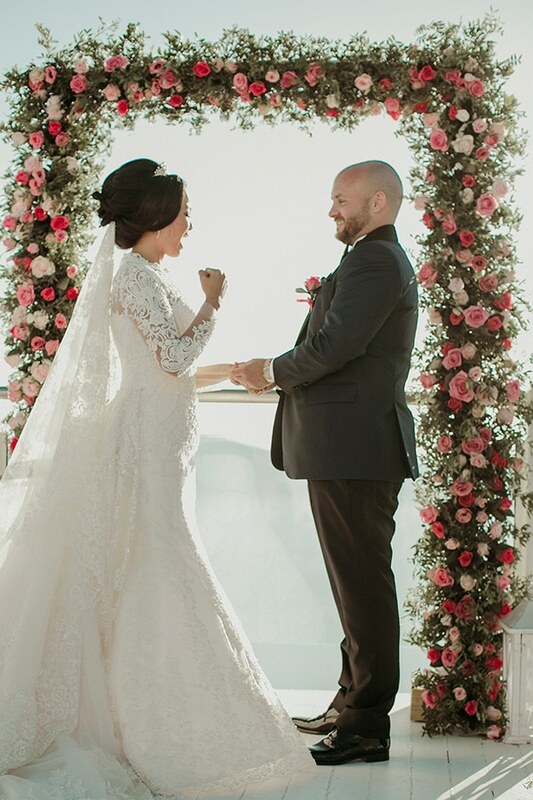 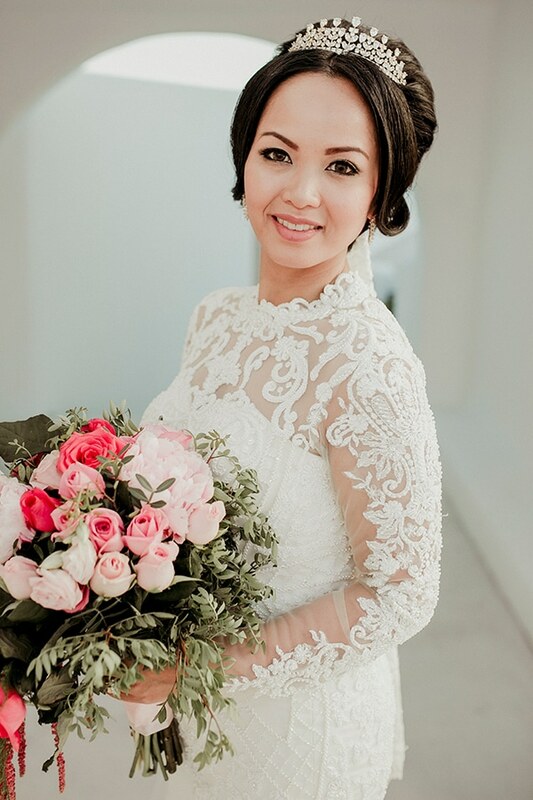 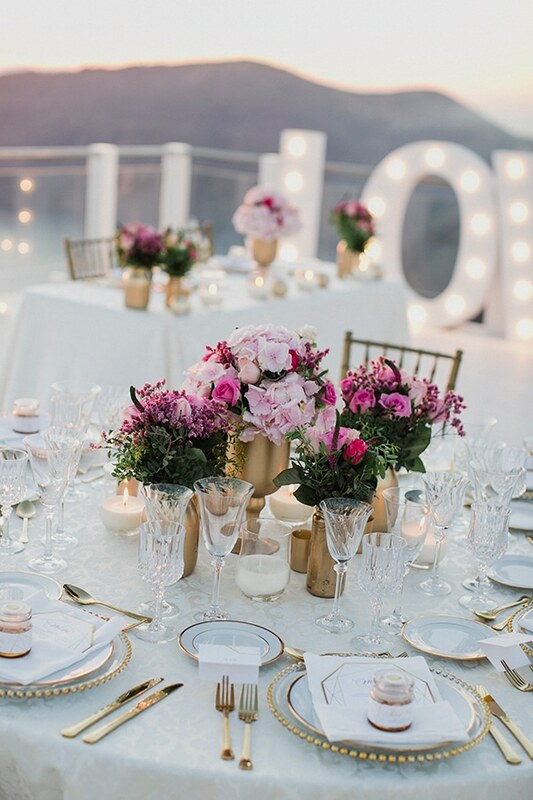 They created an intimate wedding with their families and close friends that was mainly decorated with fresh flower designs in pink and fuchsia hues. 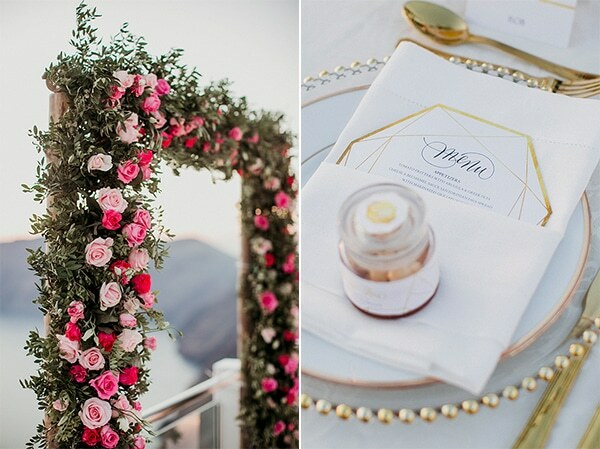 The reception was enhanced with gold details that added the essential touch of shine and luxury. 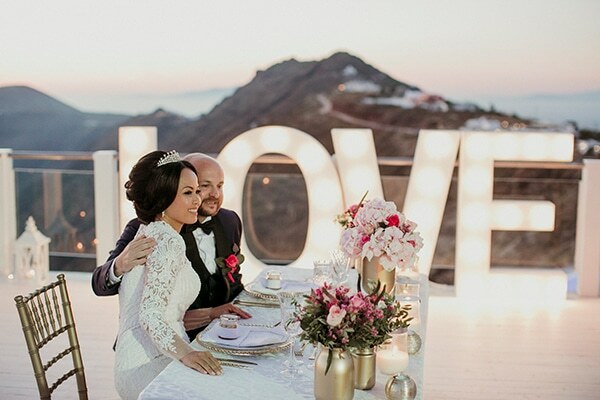 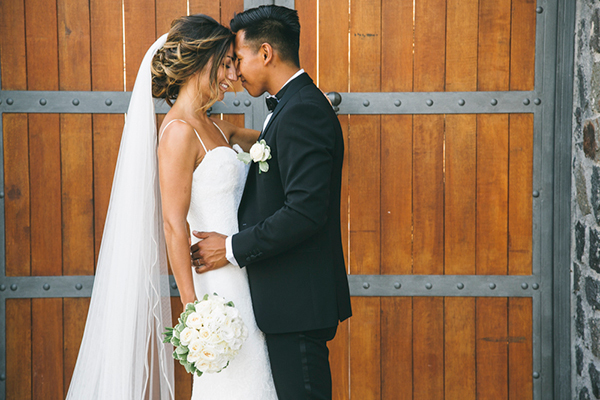 Don’t miss a single moment of a glamorous wedding that you’re going to love!